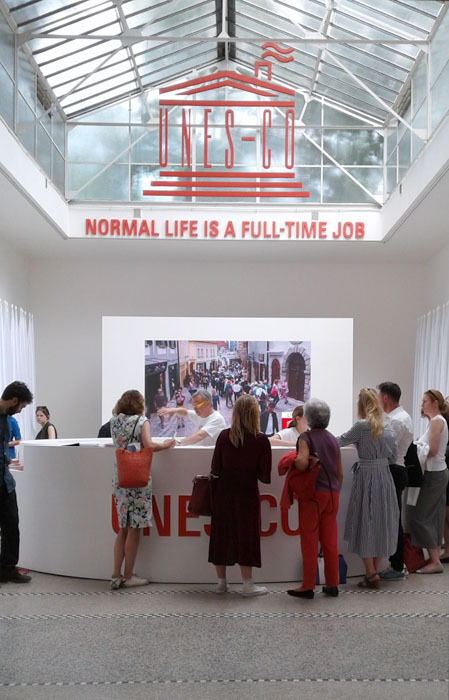 This year’s 16th edition of the Venice Architecture Biennale, looked at FREESPACE as represented by examples of generosity and thoughtfulness in architecture. The interpretations of FREESPACE were remarkably free. But what does that aspect of freedom actually mean? This year’s 16th edition of the Venice Architecture Biennale, curated by Yvonne Farrell and Shelley McNamara, looked at FREESPACE as represented by examples of generosity and thoughtfulness in architecture. The curatorial manifesto was so open that it welcomed any kind of interpretation of FREESPACE, but the presentations were remarkably free of critical voices and interpretations of what that aspect of freedom actually means. The Golden Lion went to the Swiss pavilion – a memorable, fun and incredibly light installation, which certainly confirmed that the more digestible contributions were valued more than the researched and critical approaches. And while I am all for digestibility in the overwhelming context of the Biennale, I have the feeling that FREESPACE should not be taken for granted and that we should discuss it a lot more in architecture. Just as resources are not free gifts from the earth and cannot be extracted at no cost, FREESPACE might actually be something more to protect or to contest than to celebrate. Venice itself can serve as an obvious example to reflect on this subject. I think this was brilliantly picked up by the Czech and Slovak Republic’s pavilion. In a humorous yet critical project, artist Kateřina Šeda claims that ‘normal life is a full-time job’. She takes up the fate of UNESCO heritage cities, at the same time holding up a mirror to the Biennale itself, which is neither normal life nor full-time job. The intervention proposed by Šeda is a fictive organization UNES-CO (United Nation Real Life Organization) that strives to conserve a semblance of normal life in cities affected by tourism. In Český Krumlov, the artist hired a number of families to bring ‘normal life’ to a city centre dominated by hotels and restaurants, where people avoid rather than meet one another in the streets. This position creates an interesting dialogue with a voice from outside the official selection of the Biennale: Unfolding Pavilion, an initiative of Daniel Tudor Munteanu, Davide Tommaso Ferrando and Sara Favargiotti, which appears at the Venice Biennale for the second time. Its strategy to occupy inaccessible but architecturally significant buildings through pop-up interventions was first applied two years ago at Ignazio Gardella’s Casa alle Zattere. This time it is located in Gino Valle’s Giudecca Social Housing from 1986, where Venetian normality still strives to exist. The initiators invited a group of architects born in the same decade to reflect on the site as well as the profession of architecture and its contemporary role. But besides creating a vibrant debate, the group took on the task of reviving one of the dormant apartments in the complex that, like many others, has not been renovated by the municipality since the last tenant left (apparently due to the lack of funding). Renovating this apartment and making it available for rent after the temporary pavilion closes was thus an attempt to bring normal life back into the building. Victoria & Albert’s homage to Robin Hood Gardens, the housing scheme by Alison and Peter Smithson now being demolished, is definitely one of the most impressive contributions, both as an acquisition and as a reflection on the past and future of affordable housing, which is especially critical in cities like London and Venice. 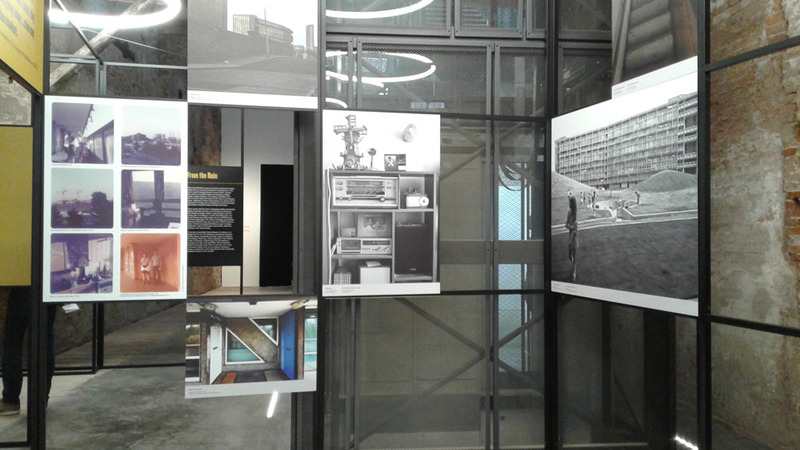 The irony that the Robin Hood Gardens scheme was presented at the 1976 Venice Biennale as a part of the exhibition Sticks and Stones, which showcased European and American approaches to urban planning, is incredibly touching and poses important questions about the qualities of space and architecture we currently strive for. It also asks what is worth preserving – not as a collectible object but as a real living space. And it asks whether architecture today is about qualities and their social relevance at all. The so-called ‘streets in the sky’ of Robin Hood Gardens were meant to provide a safe meeting space free from the hustle and bustle of London streets. The fact that after just 45 years we see this socially engaged architectural approach exhibited as a ruin is definitely thought-provoking, if not disheartening. My personal highlight of the show this year, however, was outside the Giardini and the Arsenale. 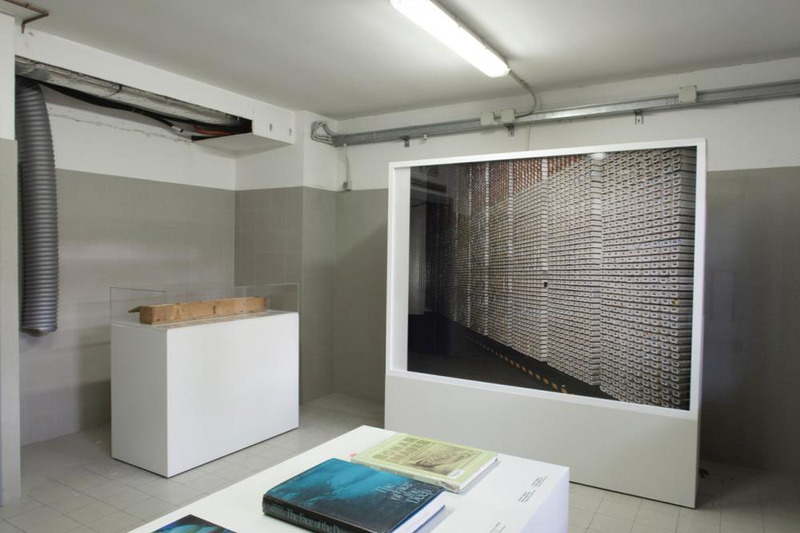 It was an exhibition entitled Prospecting Ocean by the photographer and filmmaker Armin Linke presented at Instituto di Scienze Marine (CNR-ISMAR). This deeply researched and incredibly fascinating story focuses on one of the most contested free spaces in the world – the ocean. Linke looks closely at how the ocean has been used for conflicting interests of scientific exploration, commercial extraction and environmental protection, and he examines the role that technology and legislation have played in reconciling them. He presents a number of historical documents and videos, interviews and maps as well as new photographs and multichannel video installations. Even though much of the exhibition refers to scientific and legal matters that might be inaccessible to a broader audience, I left it not with a feeling of overload, but with a sense that I have heard a new story – a rich and important one that I will remember for a long time. The show is the result of a three-year research project carried out by Linke as a fellow of TBA21–Academy — more time than many of the contributors had to prepare their exhibitions at the Biennale. But with its critical approach, its topical relevance and its insightful story, Prospecting Ocean addressed all the issues I missed in the main exhibition. It’s an exhibition that gives pleasure and arouses curiosity, and where I wanted to know more rather than escape into calming playful simplicity. I think it is an absolute coincidence, but looked at it from the perspective of the Biennale theme, the ocean is perhaps the greatest FREESPACE we have, although it seems we still know so little about it. Ania Molenda is an independent Rotterdam-based architecture researcher, curator and editor. She is a co-founder of Amateur Cities and an editor at The Site Magazine. Her work focuses on the socio-cultural dimension of spatial practices and innovation in contemporary urban environments. Venice Biennale Architettura 2018 is on show until 25 November.